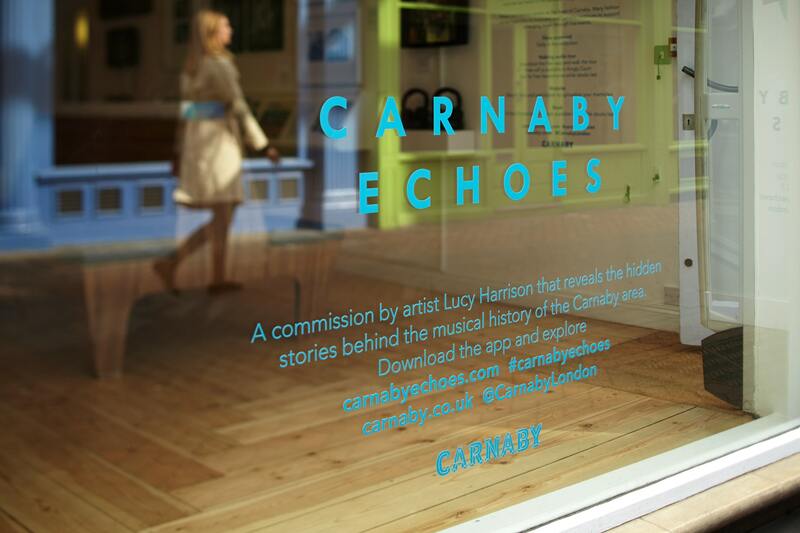 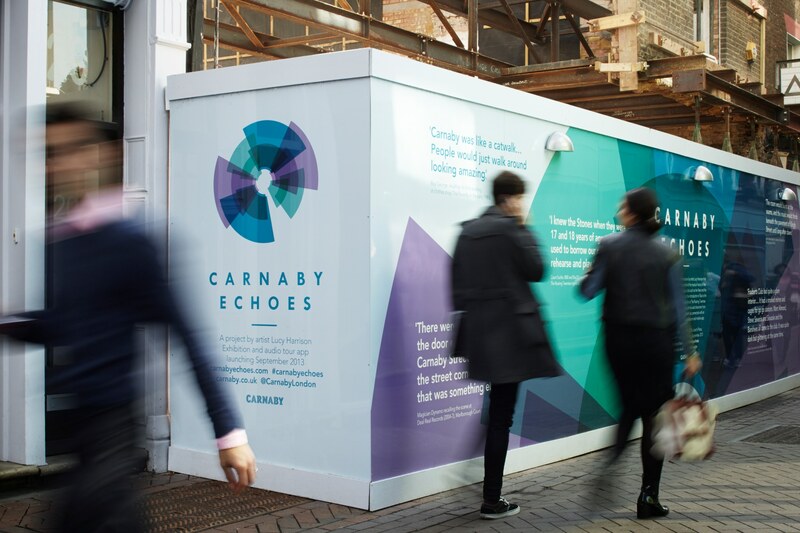 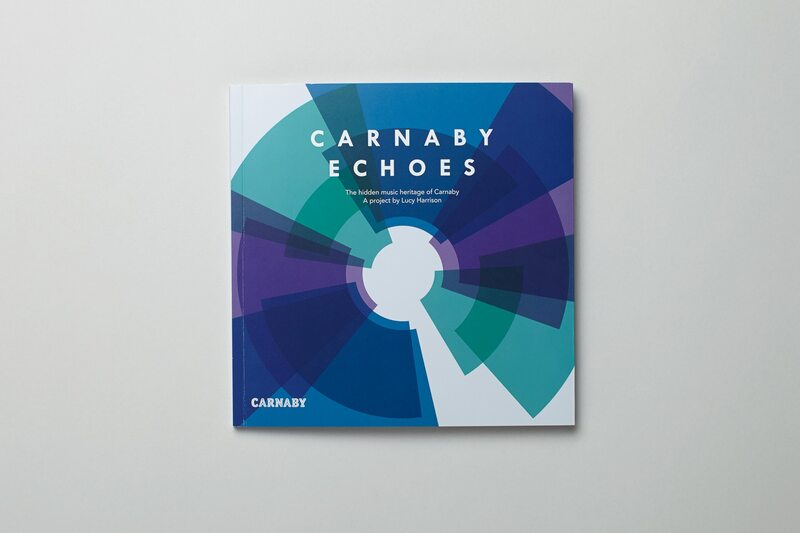 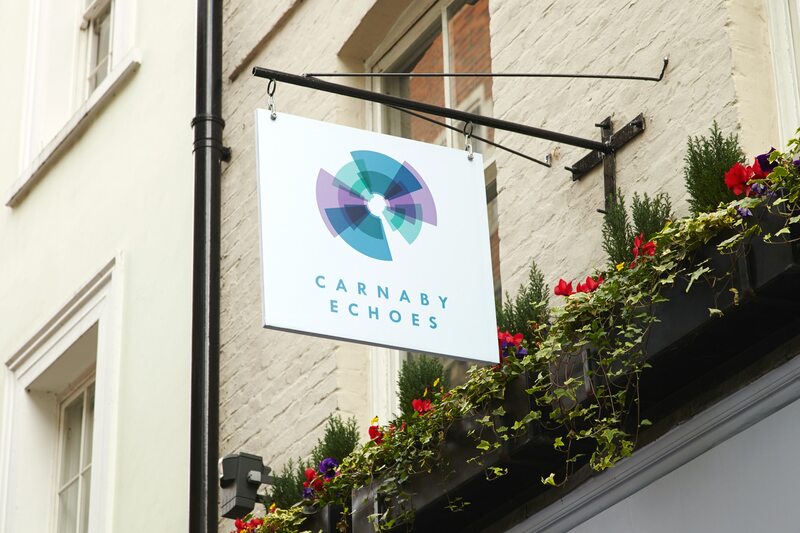 Carnaby Echoes is a project by the artist Lucy Harrison. 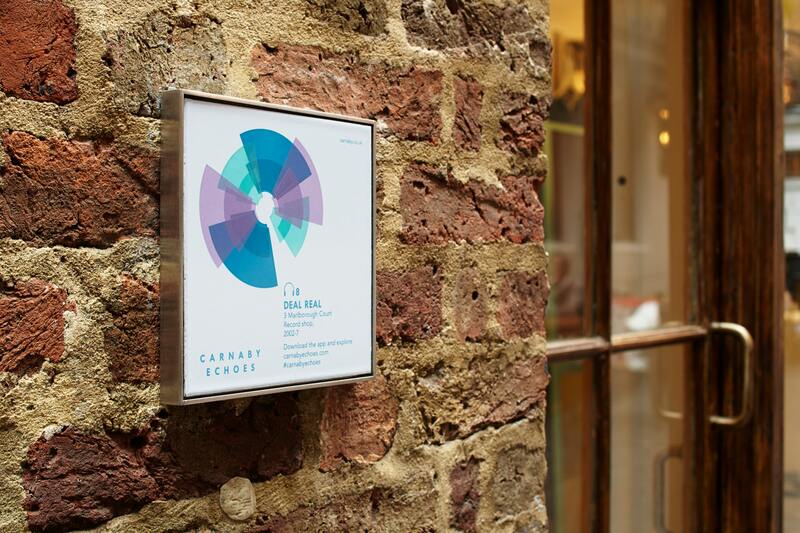 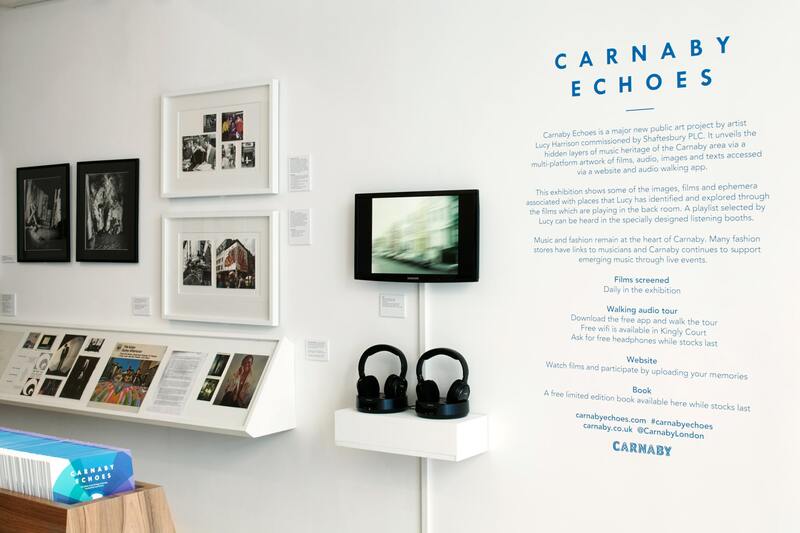 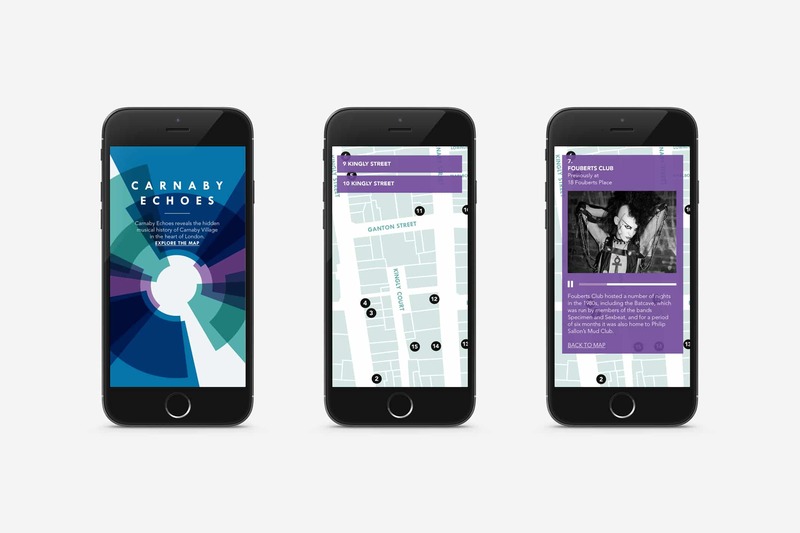 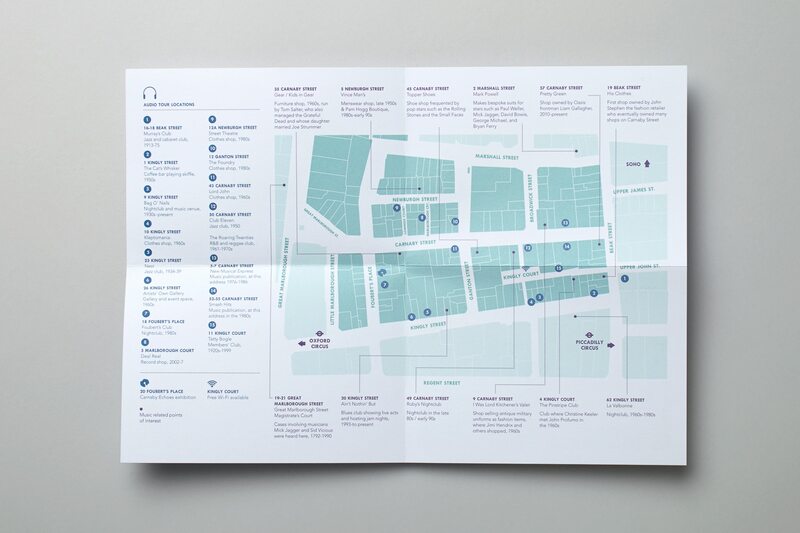 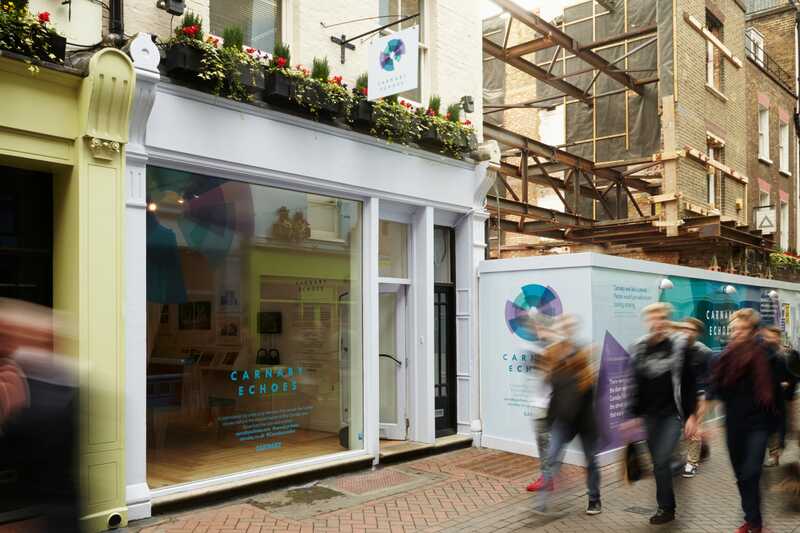 It reveals the hidden musical history of Carnaby village through an interactive trail and walking tour app. 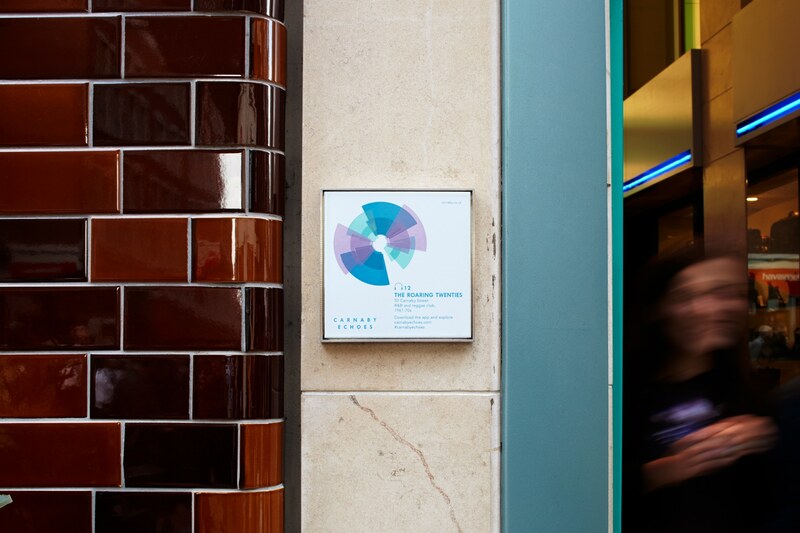 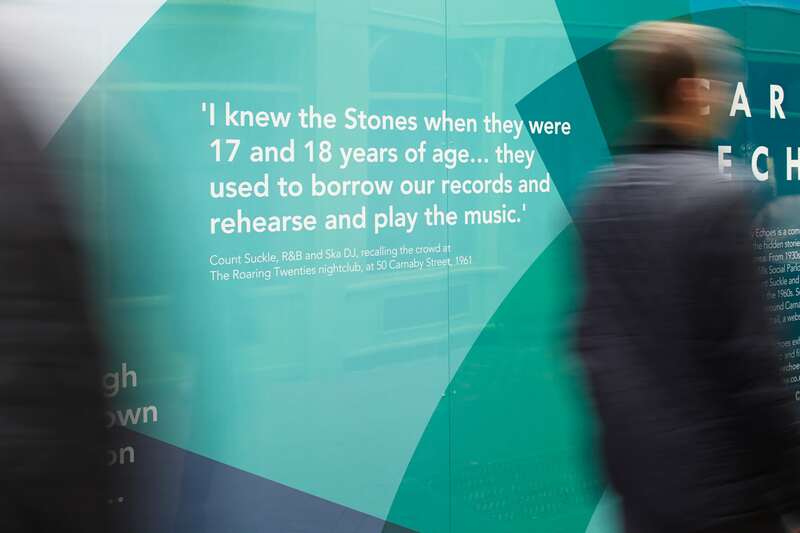 Recordings, performances and interviews are activated by plaques placed around the area, bringing the stories to life for the viewer as they follow the Carnaby Echoes trail. 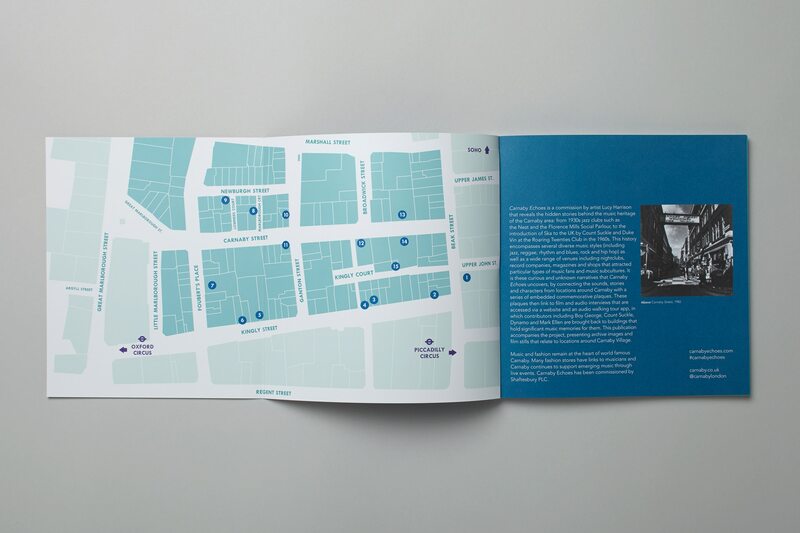 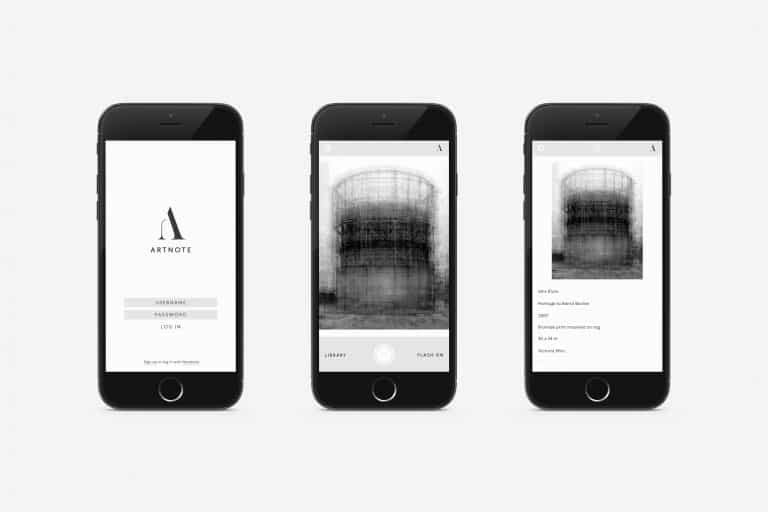 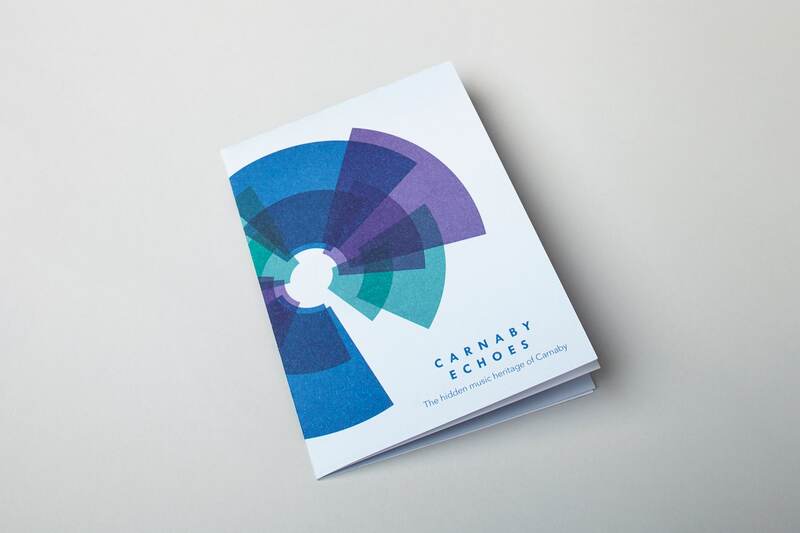 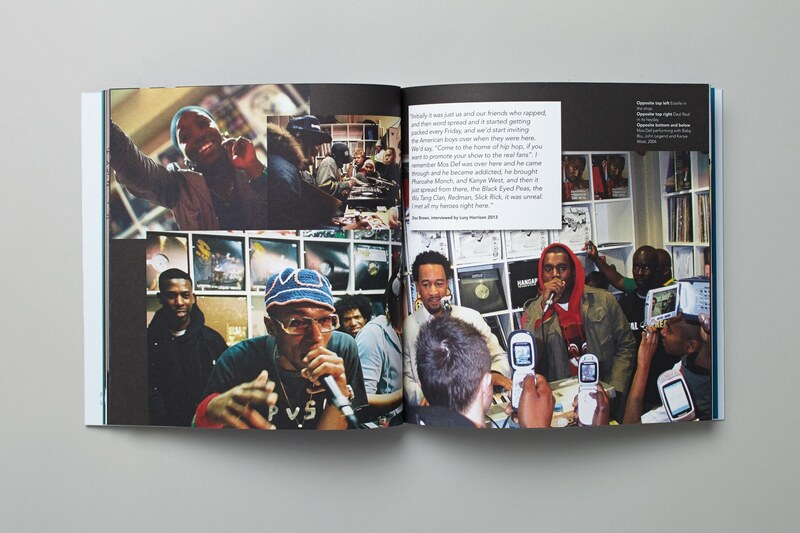 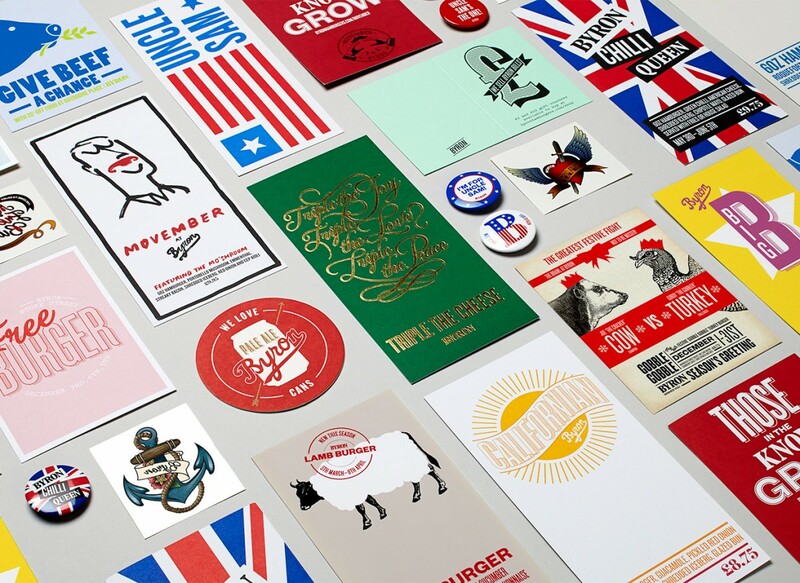 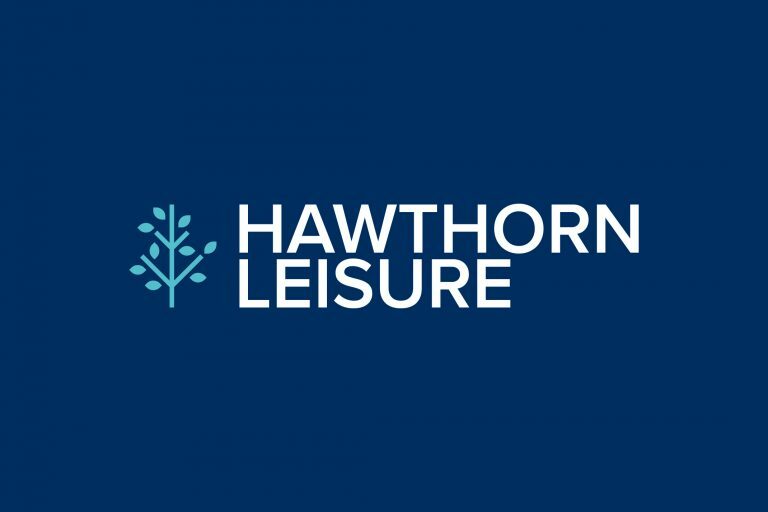 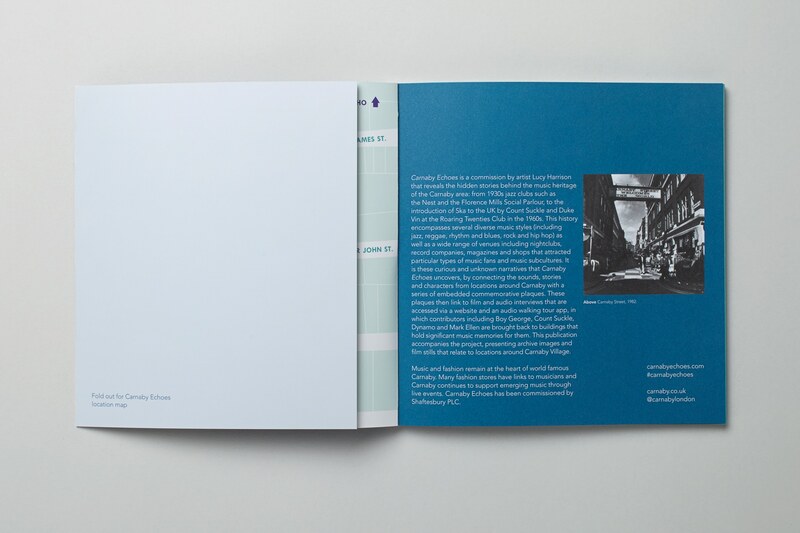 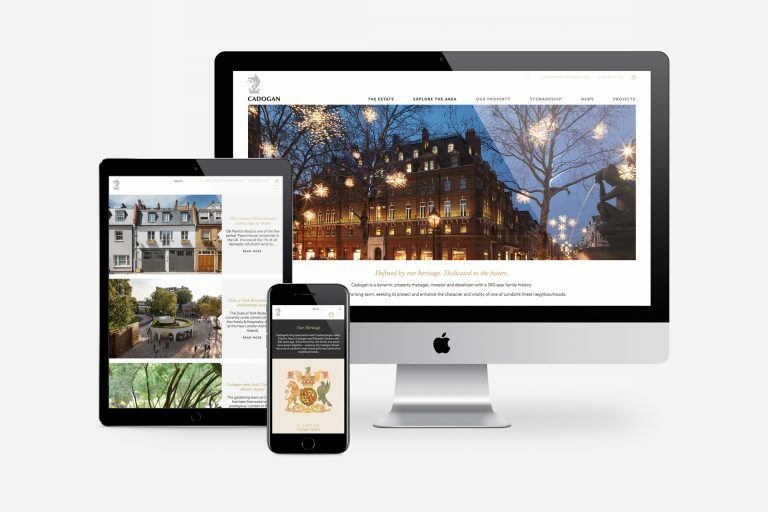 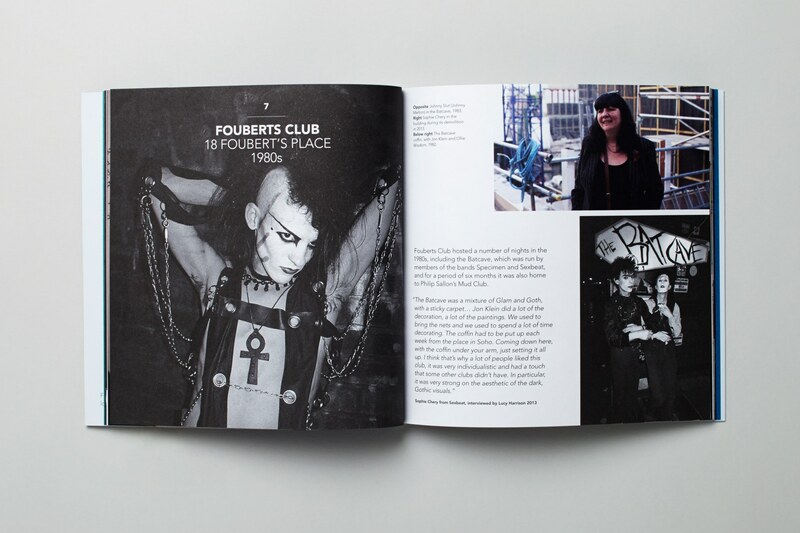 As well as the identity, we designed the website, app, catalogue, promotional material and exhibition graphics.